A high level overview of things I proudly helped to create in the past. Scroll down for a more detailed description of the different projects. You can also find a short summary of older projects at the very bottom. 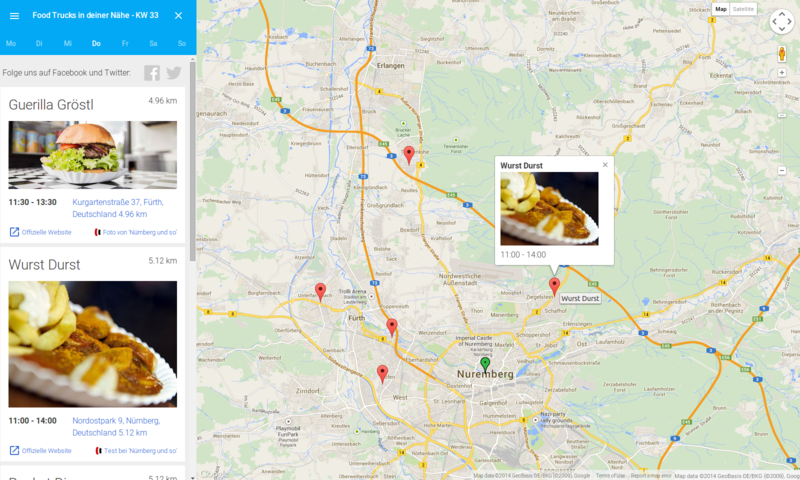 The interactive Food-Truck map for the Nuremberg area. FoodTrack.de is a personal side project I created after watching the Google IO 2014 sessions to try out the Polymer Project and to solve my problem of being hungry. It facilitates responsive design based on the material design guidelines. Technologically it is built with Polymer using the latest web standards like Shadow DOM, HTML Imports, Web Components and HTML Templates. The backend is very lean and based on a Google Calendar that regularly gets checked by the NodeJS backend, which than creates a JSON file with the latest schedule. The page got featured on builtwithpolymer.org and even appears on the official Polymer blog by Google. I also wrote a blog post about my experiences building the page. Remote control the popular Open Source Download Manager JDownloader over the web. While being employed at AppWork GmbH I helped to create the ‘My JDownloader’ service. The service enables users of the popular download manager JDownloader to remote control their desktop client via the web, browser extensions and mobile apps. My responsibilities were the conception, design (based on provided styles by a visual designer), user experience and implementation of the web interface. In addition I created browser extensions for Google Chrome and Mozilla FireFox. 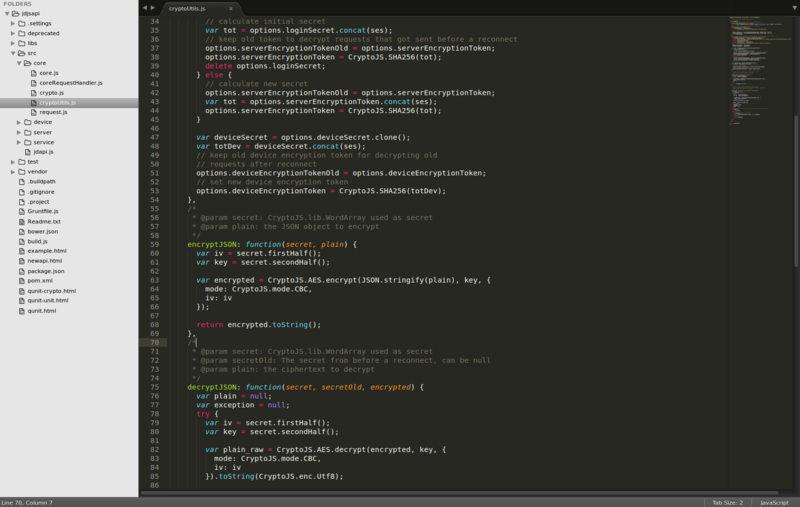 In the backend I helped to create the API, that exposes the JDownloader functionality. I also regularly supported third party developers who build something on top of the open API. The service got featured on Chip.de, which is one of the leading tech news sites in Germany. I developed the web accessible component of the service as a single page web application based heavily on GWT and some jQuery. The main feature is the remote management of downloads through a rich web GUI. This enables users to handle downloads from remote locations or to completely run their JDownloader as a headless version on a server. Features of the web interface include live updating of the download progress via long polling events, managing of the package list and the display of dialogues and captcha prompts from the desktop client. 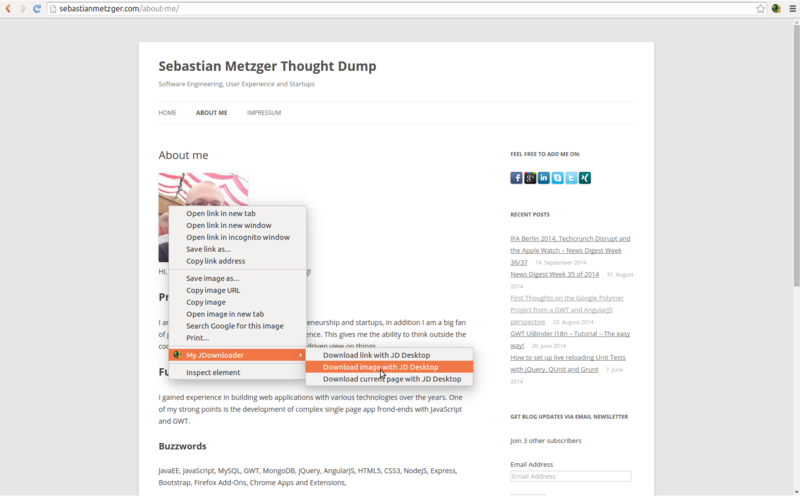 Also it can be used to add links and upload container files. In addition to the web application I created browser extensions that integrate certain functionality of the My JDwonloader service, like adding links comfortably via the context menu. Available for Google Chrome and Mozilla Firefox. 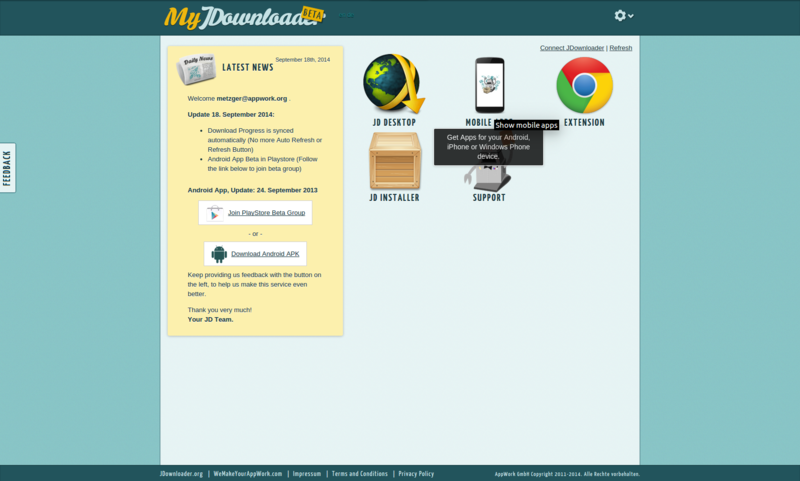 The library implements the My JDownloader API specs and is used as the low level communication layer on the web interface and browser extensions. The library handles client side session handling, AES encyption of the traffic and has the ability to detect if you are in the same LAN as the JDownloader you want to connect to. Side project of two former colleagues and me in the direction of blogging, content curation and news consumption. Besides contributing to the product management and strategic scope of the project I mainly developed the Chrome Extension, which has the ability to mark text in online articles and post the annotations with commentary to a server with the option of automatically cross posting to Facebook or Twitter. Collecting Images, Videos and Screenshots are features currently under development. A customer portal and product configurator for a mid sized industrial manufacturing company. I created the application based on provided specifications and with close customer feedback. While writing my diploma thesis I contributed to the Collaborative Case Management project by the chair of information systems II of FAU university. I helped to create the basic framework stack together with colleagues and created different prototypes related to project task management and adaptive case management. Entrepreneurial project to create a stack for business web applications based on Java EE 6 and GWT. 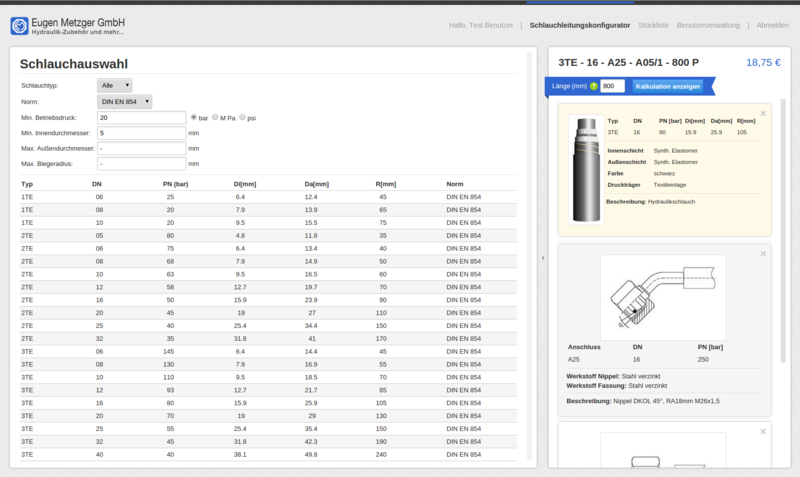 The framework we developed got and is still being used in several projects including the above mentioned Collaborative Case Management platform and the Hydraulic Hose Product Configurator. During an internship at a large banking company I helped building a internal web application in the project management context. In that period I created a small business website as a working student and added additional content management features over time. I wrote various small VBA macro tools in Microsoft Excel and Microsoft Access automating business processes. Also check out my GitHub profile for some smaller fun projects.